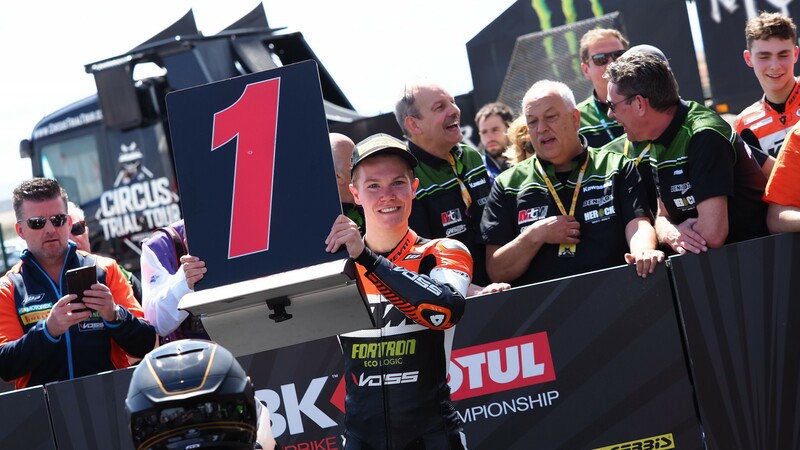 Not many riders strike gold in their first time on a major stage, but Koen Meuffels (KTM Fortron Junior Team) did just that last Sunday with a fantastic win at MotorLand Aragon. The Dutchman came in just 0.031 seconds ahead of countryman Scott Deroue (Motosport Kawasaki) to clinch victory at his very first attempt in the FIM Supersport 300 World Championship, after a thrilling race in which up to nine bikes competed for the coveted top spot. Meuffels was always aiming for the top, but the win might have come sooner than he expected: “I wanted to finish on the podium”, he begins. 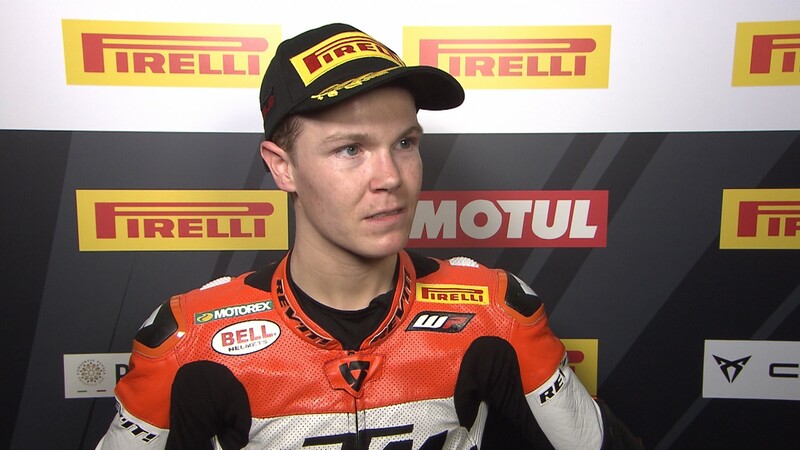 “After the free practice and the qualification, I knew I would be fast, but I didn’t know I could win, I’m very happy. Thanks to KTM; they worked really fast, it’s their first race too. This is nice, to put KTM on the top spot”. Meuffels fell as far back as ninth at the start of lap 4, but never left an unassailable gap between him and the leaders. Speaking about if he enjoyed the race: “Yeah, a lot, it was crazy! The start was not ok, I almost lost touch with the front group. But when I came back I could pass almost everybody. In the last lap I knew I had to be second or third on the back straight, so I could slipstream the first two, and it worked”. Will Meuffels do the double at his home country? Find out as WorldSSP300 lands in Assen this weekend, with all the live coverage available thanks to WorldSBK VideoPass.